Montov wrote: He is going to taste the water. Followed by his exclaiming, " Oh my God, It's full of stars!" Or "I've got a bad feeling about this." higgs-boson wrote: THIS IS NOT THE RIVER OF BABYLONG ... AND IT COMES. The last few frames they were running on really flat terrain, they're going to get their feet wet pretty soon. This post is from a couple pages back (a newpic or so after Cuegan were splishing around [M3001]), so I had to comment that they already did get their feet wet. And THIS IS SUPER PANICKY! They've passed a stream or two and the water is now rising around them and now they're going to cross something even more dangerous to help some people out. Ya'll think it's the 40? This is terrifying, but I can't deny each ONG is going to be exciting todip. 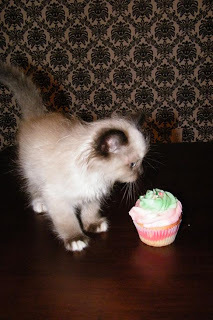 Decree: Eat a cupcake and spoiler a picture of it! 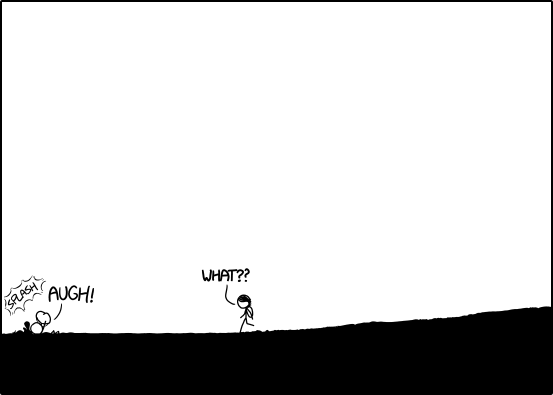 Maybe Cueball has found the vortex through to Mars? "So, raise your hand if you thought that was a Russian water tentacle." "My vheels! My god, I can't move my vheels!" I'm melting! Melting! Oh, what a world! What a world! " Hum, no, I've no idea. It does look like he's getting something out of his bag. Is it time for Cueball's dream to come true? "Our rope isn't strong enough." "Hold this or you'll fall." jjjdavidson wrote: It does look like he's getting something out of his bag. Is it time for Cueball's dream to come true? "Our rope isn't strong enough." "Hold this or you'll fall." Getting something that ought to float (in the hypersaline sea they're used to), and checking to see whether it does? thegreger wrote: Just convinced a friend of mine to start a fast blitz from page one! He missed out on what has happened so far, and I feel that the thread is the only way to properly understand the vastness of this thing. You do realize that, assuming your friend is either employed or going to school, that it'll take your friend about two [heresy] weeks [/heresy] to do this, don't you? More, if page traffic stays as high as it's been? On average, I figured out a Wip ago or so that you need to read approximatly 10 pages a day just to keep up with what is added. You must read more than 10 pages each day to begin to catch up. reading at 20 pages a day it would take more than 100 days to catch up. Hooray, BlitzGirl's back! And Dracomax too! Welcome back! Finding their old habitat already flooded, both Megan and Cueball are initially crestfallen. They have failed their mission, the hurry, the run. In depression they sit down on a rock, looking at the slowly flowing water. Then Megan discovers a trail, large enough to be visible even from a hundred meters away. Did the tribe move? Hope and spirits rise, both Megan and Cueball jump to their feet and follow the trail. It takes the better part of third day to catch up, it looks like the tribe has begun breaking camp a few days after the start of Megans' and Cueballs' adventures. Happy reunion. They make it to the higher grounds in time, all ends well. - The bucket was saved and given to Megan. - The lore masters from Château d'If make contact. Rosetta and Cueball fall in love, do some rituals and the children come after Rosetta (no one's bald). - Megan goes into lore master scholarship and is taught to become successor of Rosetta, since she has the drive to explore and the will to do what has to be done. The maps, of course, had been returned long, long ago. - The hill people indeed failed to warn the shore tribe, but only because the tribe had moved; the people meet and make peace; the dislikes' root cause analysed (a grandgrandgrandgrandgrandfather of Cueball kissed a hill people girl long ago, at a time, where this should only happen after a blessing of the girl's mother. - The hedgemolpy bit in the catmolpy's tail and was carried to safe and higher grounds as well. - The catmolpy came to visit the lore masters two years after Megan entering the scholarship and actually apologized for being rude. - With the final dialogue coming in (Cueball and a daughter sitting outside at night, watching the stars): "Daddy, can you tell me your adventures again?" "Well... yes..." a star falls, and thus ends time. I was just reading Ender's Game. And my brain kept substituting "hedgemolpy" for "Hedgemon". Same here; it took me around eight to ten hours a day dedicated to the OTT to read a hundred pages per day. Last edited by taixzo on Tue Jul 23, 2013 1:52 pm UTC, edited 1 time in total. Not sure about the rate slowing down. for the last 25 newpages the average post rate is 17.66 posts per longpic. (1 post per 0.0566 longpic). Over the whole thread. 16.60 posts per longpic (1 post per 0.0602 longpic). So it's faster by over 1 post per longpic than the average over the last 2 and a half dips. I wondered that too. Which made me start wondering about all kinds of theories along the lines of time running backwards in the OTC and us actually watching it in reverse from the end... (as in Time's Arrow (or so I understand). Interesting. My first "cute" molpy gets more commentary than all my icky molpies put together. :-) Guess I know what people like. Like hermit crabs, juvenile coconut crabs use empty gastropod shells for protection, but the adults develop a tough exoskeleton on their abdomen and stop carrying a shell. One must be careful when handling groups of puppies as they may cause spontaneous outbursts of sentimentality. Jaded safety glasses recommended. Cueball isn't deep enough to notice the difference in buoyancy, I wouldn't think. Last edited by thegreger on Tue Jul 23, 2013 2:03 pm UTC, edited 1 time in total. I definitely think we should adopt a Condorcet method for this. Maybe the Schulze one (it's the one Debian use). That's great to find a consensus when you have a lot of choices, while allowing voters to give their opinion about more than one choice. OTTers would vote by ordering the choices. You can give two choices the same place if you don't have a preference between the two. So you'd come up with something like "C6M2 > C6M1 > C5M2 = C5M3 = C5M4 > C7M8 > every other choice". I made a script to compute the results from that format a while ago. BlitzGirl wrote: Thanks, xuys! Nice to see y'all again! [center]Interesting. This reminds me of something I learned in one of my classes, though I can't for the life of me remember which class, or even what yip I learned it. In cultures that read left-to-right, there is a tendency to give objects traveling left-to-right across a field of view more positive associations: moving forward, progressing, heading the correct way. Objects moving right-to-left, or against-the-grain, are more apt to be viewed with suspicion or a sense of wrongness. Filmmakers sometimes take advantage of this bias in the movement of characters and play that off of the plot. Heroes will more often enter from the left side of the frame and move right. A character that travels right-to-left across the frame, with the against-the-grain eeriness, creates a subconscious tension in the minds of the viewing audience. It said occidental people tend to think the boats are running away from the wave, while the ones reading right-to-left think they're actually sailing towards it. 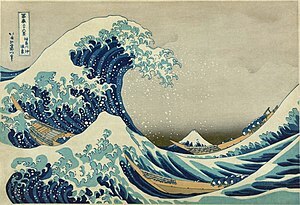 Hokusai obviously meant the latter, to give more strength to his art. Last edited by Pikrass on Tue Jul 23, 2013 2:06 pm UTC, edited 1 time in total. If they are standing on a bed of salt with a sandy crust, it's possible the water has cut tunnels into the ground, beneath the crust, and Cueball just fell through. For the moment I am staying with my Kaiju theory. Last edited by Neil_Boekend on Tue Aug 27, 2013 9:16 am UTC, edited 1 time in total. I guess it's Ockham. The water washed out some stones which are now not safe to stand on anymore. And it appears Cueball is about to be dragged underwater by some resurrected sea monster that was hiding in the salt dunes waiting for the water to bring it back to life. Rand-damnit Cueball! I implored you to be careful! I quite startled while scrolling through the OTT and came upon the latest np. I am willing to bet that they do not realize they are at the edge of something, perhaps a riverbank or cliff? They should have used some rope! ETA @CasCat I think we are assuming that the water is only rushing in, and not back out. 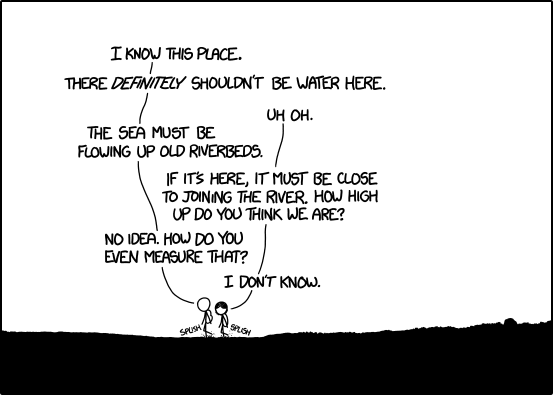 So I would not expect a rip current. However, if the inflow of water is not steady, but coming in bursts, then a rip current may be possible if the level of the sea is able to recede periodically. But I do not think so. Well I have been down since Thursday but I just caught back up on everything that has happened since then. It's insane to pick up on OTC in chunks like this ... and now it is driving me mad to have to wait again. This is a NP I just need to be on! k.bookbinder wrote: Rand-damnit Cueball! I implored you to be careful! Cueball fell into the hole where What-if#55 should have been for hours by now. Valarya wrote: And THIS IS SUPER PANICKY! They've passed a stream or two and the water is now rising around them and now they're going to cross something even more dangerous to help some people out. Ya'll think it's the 40? This is terrifying, but I can't deny each ONG is going to be exciting todip. They're crossing what they think are fingers of water reaching inland along dry stream beds, more or less parallel to one another. So they don't expect to have to cross back to escape, but instead, head directly inland from where they are when they meet up. That will work okay if the fingers really are separate. But imagine if they're actually in a dried up river delta -- the fingers could easily connect together behind them. Speaking of panicky -- WHAT?? Gibraltar-leaping shark? (Many attacks take place in shallow water!) Hill People anti-Cueganite leg trap concealed by the water? Stronger current? Poor balance? mindonner wrote: His knees are still sticking out of the water though, so I don't think he's fallen down a hole or anything. I still reckon he was trying to float on his back, and is surprised at how little the water supports him now. Yeah definitely, bear in mind that they're used to the high salinity of an evaporated Mediterranean. The dead sea is 8.6 times as salty as the Atlantic. And this hyper-saline Mediterranean may be approaching 12 times as salty (similar to the Juan Pond). With that much salt you float with uncomfortable ease, you don't have to spread out and try like you do on ocean water. Get up, Cueball! This is no time to be laying around... YOU HAVE PEOPLE TO SAVE, INCLUDING YOURSELF! And in all the excitement, congratulations to Valarya on becoming centipope the 12th! I think he's going to get more than just a little taste of the water. higgs-boson wrote: Cueball fell into the hole where What-if#55 should have been for hours by now. Woah, I didn't know I am that good. The dead link wasn't dead for very long... I should have made this posting 6 hours earlier. Random Sneeze Call. If everything is connected, Cueball will get a cold. alemhnan wrote: anybody noticed that the image caption changed? it says ''Run" now! Last edited by *Kat* on Tue Jul 23, 2013 2:29 pm UTC, edited 1 time in total. The consensus at the time was that Cueball's dream was about his appearance at the What If #44 (the fourth picture), which appeared at the time he was heaving his dream. This may already be obvious to everyone else...but if my math is correct, at the end of this NP, the OTC with slightly over 3000 panels will have generated 48,000 posts (and climbing!) in the OTT.